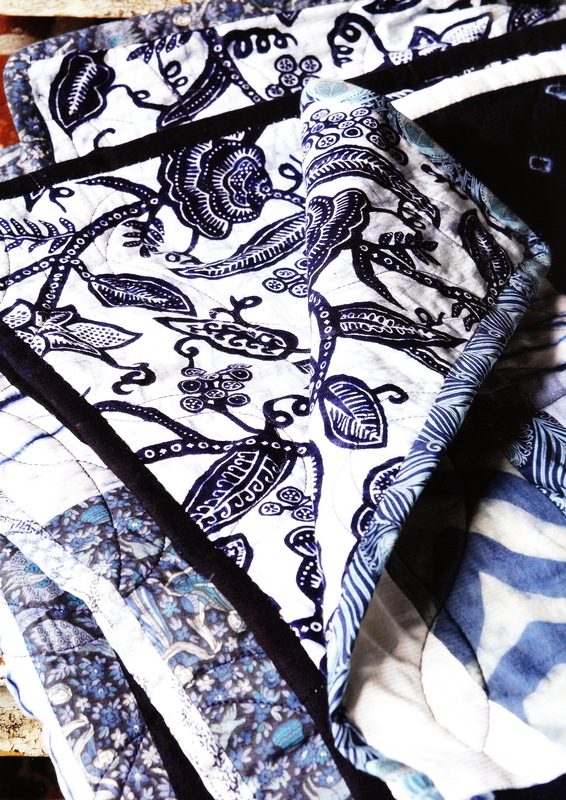 A couple of years ago I was lucky enough to attend a quilting workshop run by Cassandra Ellis at The Papered Parlour along with my friend Jamie. I think she was surprised to see a boy turn up on the day but he’s pretty into his crafting and makes a mean curtain or two as well as being a bit of a prolific quilter! In fact my king size quilt started life off in her class. 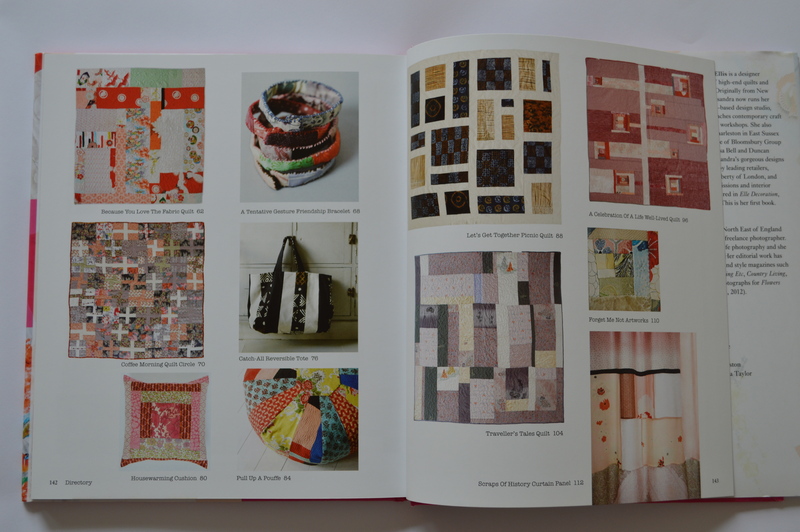 The book is split into four different types of quilts/quilted items – those that celebrate Big Events, Love, Friendship and Memories. 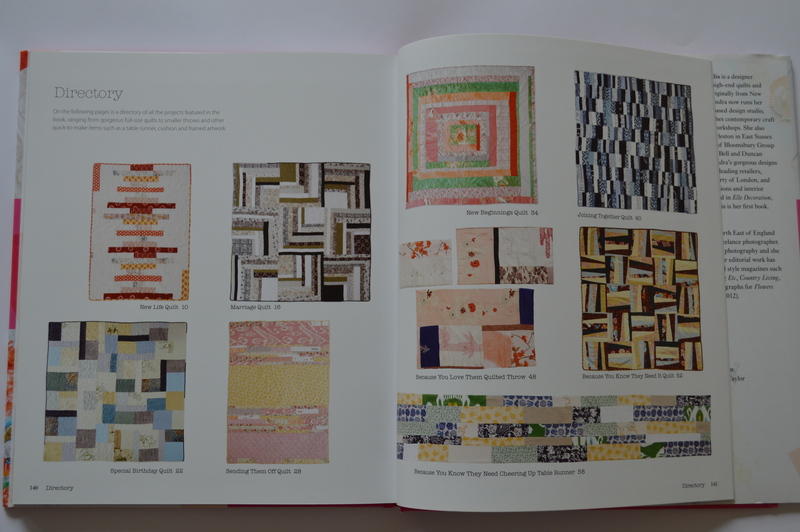 It also covers the basics of quilting well – what materials you need, what type of quilting you should choose etc… The instructions for the quilts are very easy to understand and well written with good clear diagrams. 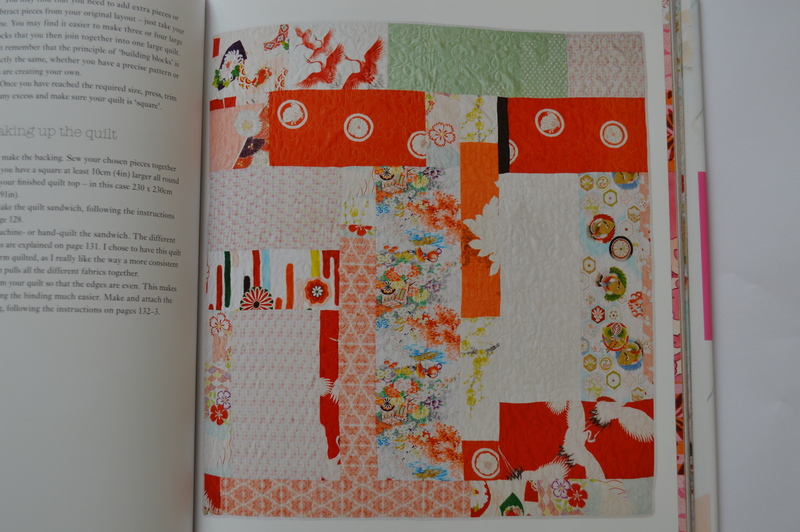 What I really enjoy about Cassandra Ellis’ approach to quilting is that her philosophy is not about making perfect and exacting quilts but showing that the imperfect can be perfect. 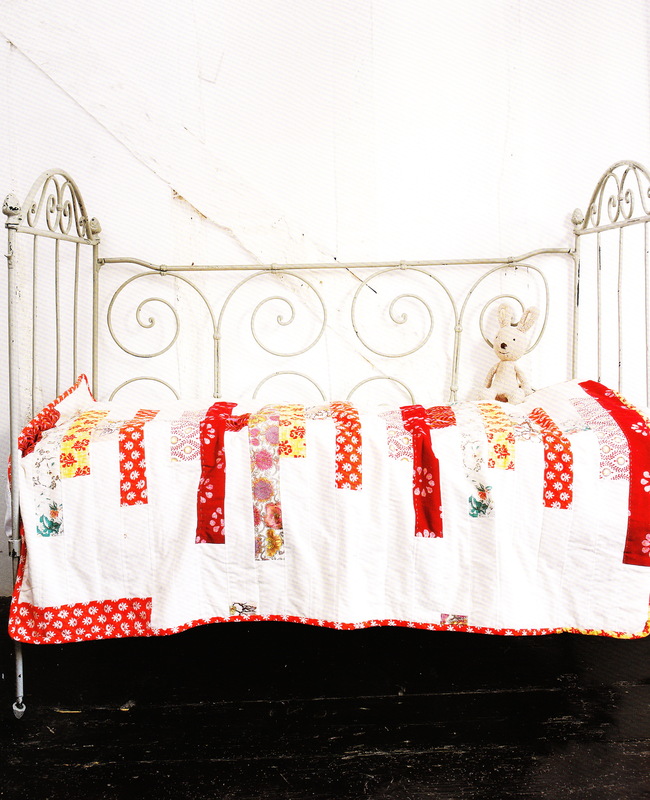 Her quilts often have a meaning attached to them, perhaps it’s a memory – re-using fabrics like an old wedding dress or the fabrics in a quilt are planned in a particular way like her DNA baby quilt where she uses the fabric to illustrate the mother’s, father’s and baby’s DNA incorporating into one another. 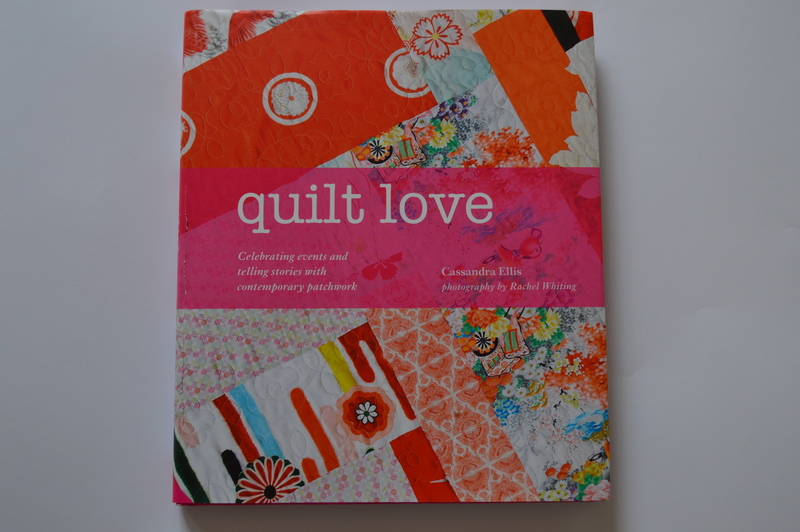 This one below is my favourite quilt in the book – it’s called the ‘Because you love the fabric quilt’ and I think we all know what that feels like! I think this may be the same quilt that I saw in my class at the time and which to this day still inspires me to make something similar. 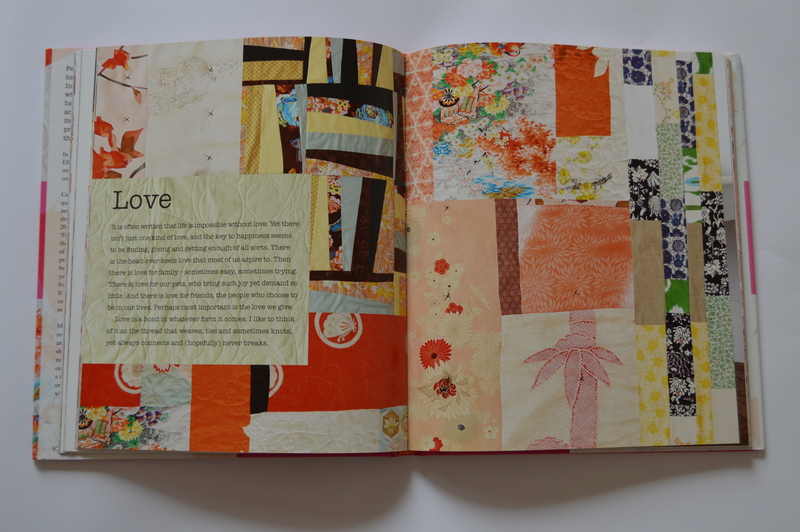 I’ve always loved Japanese fabrics and prints as well as the bright hues of pinks and oranges that come together like a warm sunset. The book is really well thought out and has a visual index at the back, which is a great idea and makes finding things so much easier. 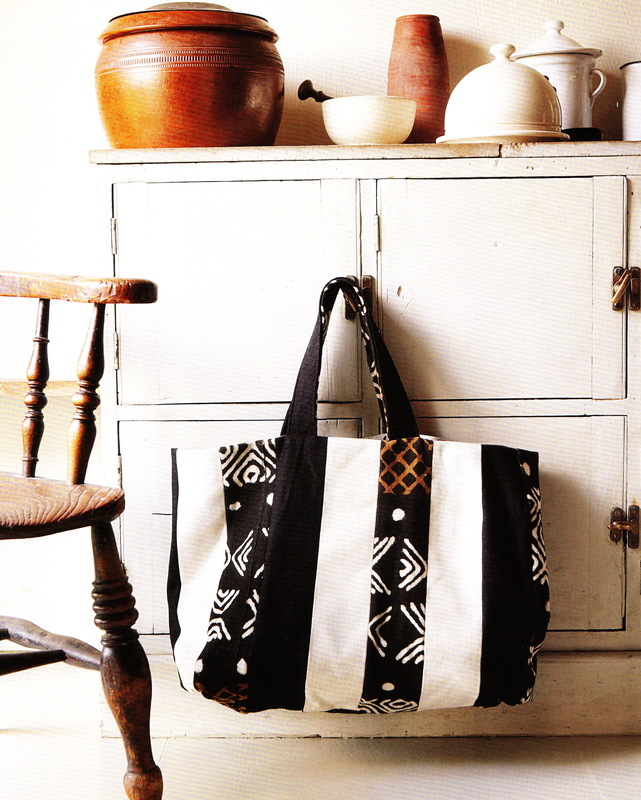 And before you worry that it’s all quilts, don’t worry – there are patterns for cushions, a bag and a pouffe too! !